We are passionate about our home and residents. We provide a warm and homely environment and treat all our residents as individuals who have the right to be given choice. 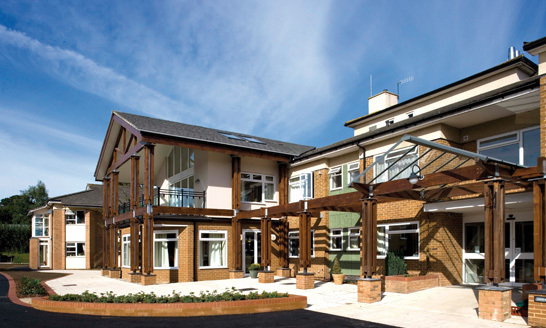 Richmond is a purpose-built care home, offering dementia care for 26 residents and residential care for 32 residents. All rooms are en suite and comfortably furnished and we have free WiFi throughout the home. Extensive secure gardens - to simply enjoy, or get hands-on maintaining our flower beds and shrubs! We have open visiting, children and pets are welcome and often get spoilt by the other residents and staff! Family and friends can also enjoy a meal with their loved ones. We’re in Bexhill-on-Sea, midway between Eastbourne and Hastings in East Sussex. Richmond is situated on a quiet residential area off Little Common Road. It’s easily accessible to public transport and the town centre is approximately 1 mile from Richmond. The sea front, with lovely hotels and cafes, is a 30 minute walk from the home. Our two Activity Coordinators work hard to keep our residents active and entertained with a fun-packed weekly activities calendar. Activities include: singing and outside entertainment coming into the home, quizzes, games, table tennis, walks and afternoon tea, animal visits, exercise classes, art sessions, bingo, baking/cookery, bible studies, flower arranging, knitting, Church services twice a week plus personal support from our Chaplain who is employed at Richmond and many more…! At Richmond we regularly take residents on trips - our very own minibus is always ready to whisk groups away to exciting destinations. This can be anything from shopping, a trip to the library or going out for a coffee to a trip to the seafront, visit to a garden centre, or an evening out at a favourite restaurant. Our residents tell us what they want to do, and we do our best to make it happen. And we love any excuse to put on a themed event. Throughout the year you’ll see events including a Valentine’s Day meal, Easter bonnet parade, summer fete and Halloween party. Richmond is committed to providing alternative therapies such as music therapy to help alleviate isolation and the symptoms for those living with dementia. Our trained and award-winning therapist, Lori Standen, is funded by charitable donations. Lori spends a day each week at the home and interacts directly with residents through live music therapy sessions. This includes singing, playing simple percussion instruments or responding to musical cues in a one-to-one or group setting. Take a look at our video to find out more about this life changing therapy. Richmond is proud to be supported by a dedicated Chaplain, Peter Timms, who offers pastoral support to all, whatever their beliefs. Peter is in the home four days a week, providing a listening presence, companionship and one-to-one pastoral support for all residents, their friends and relatives, and staff members - irrespective of their beliefs - and organise worship for those who wish to participate. Where appropriate, residents are encouraged to maintain links with local faith communities. If you’d like to experience living at Richmond, we’d love to invite you for lunch and to spend an afternoon with us. It’s the best way to really get a feel for our friendly home and decide if we’re right for you. Richmond offers care and comfort, compassion and friendship. At the heart of all we offer is our assurance that you will be treated with the respect and dignity that we all deserve, and if you need anything at all, we’re here to help, 24 hours a day. Richmond has the latest safety and security design features so you can live life to the full with peace of mind. All rooms are en suite and comfortably furnished and we have free wifi throughout the home. A TV can be provided for your room on request and residents have access to a computer. We have a call system which can be operated by a hand control or a pendant depending on personal preference. We also offer a choice of a profile bed or a divan, ensuring we can meet individual choices or care needs. You can bring your own furniture to furnish your room, such as a favourite armchair or their own bed. Walls can be personalised with their own pictures, shelving and ornaments. Some of our residents bring their own curtains which makes the room theirs and more homely. 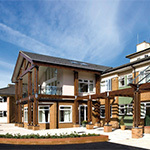 MHA is one of the pioneers of person-centred specialist dementia care in the UK. 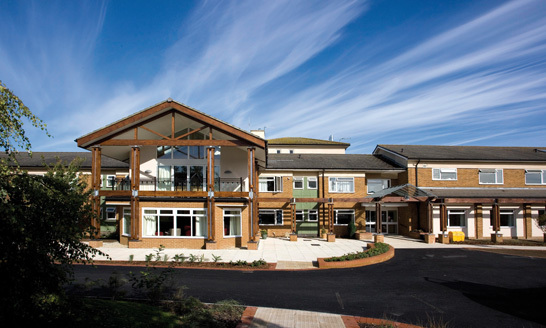 Our first specialist dementia care home opened in 1989 and since then we have continued to develop our approach in our care homes and retirement apartments across the UK. Our specialist dementia care recognises each person as a unique individual. At Richmond, our caring, professional and fully-trained carers, provide the highest quality care to preserve dignity, treat people with respect and promote independence. Everyone with dementia is different. That's why a person-centred approach is key: at Richmond, we take time to get to know each individual’s history, personality and preferences, and find ways to make every day fulfilling. Our purpose built dementia area at Richmond is designed and decorated to be safe for you, and also as familiar, reassuring and as easy to navigate as possible. The dementia floor is secured by keypad coding to ensure that you are safe and secure at all times. We provide ‘show and tell’ at mealtimes where you are visually presented with the two meals on the menu so you can select which one you would like. Other options are also available if you would like an alternative. We have a dementia secure garden with sensory plants and ornaments. The dementia floor is at ground level and you can visit the garden at any time. We ensure residents are fully supported in their everyday lives and tailor some of our activities around dementia needs. Examples include Sound Bingo, Reminiscence Therapy and a dementia friendly box of activities with sensory and visual impact. Our bedroom doors have individual door furniture to assist you to find your own room, or a memory box. We have also painted our WC and bathroom doors bright yellow to guide you to the facilities as needed. Finding a place that you can call "home" is a question of getting the right balance. Richmond’s residential care provides 24 hour support to help residents maintain independence –giving you peace of mind and a place to make new friends and explore new interests. In many ways it is like living in a hotel, where you don’t need to worry about laundry, changing the bed or cleaning your room. We will use the district nurse and GPs to provide any medical care. Our caring staff help with everyday activities like bathing and dressing and support at meal times. At the same time, there is no reason why you can’t maintain links with the local community, or develop new friendships and relationships. Care staff will help you do that, while also working hard to create a home that is itself full of opportunity and possibility. In the main living areas of the home you will find lounges where you can join in one of the many activities with others or to sit quietly with a book or newspaper. Meal times are a special part of the day for you to savour tasty food, freshly cooked by our chef, Danny Selley, to suit you and any dietary needs. And, of course refreshments are available throughout the day for you and your visitors, who are welcome at any time. Our highly-trained, dedicated members of staff will always be on hand to provide your care and support in the way that best suits you, in the comfort of your own room.